St. Patrick’s Day is coming up next week. I can no believe that March is going so fast. I guess it just goes to show just how busy things around here have been with the kids. March is always busy around here. This year, Anthony turns 18 and Joey will be turning 17. But St. Patrick’s Day is always a favorite around here. 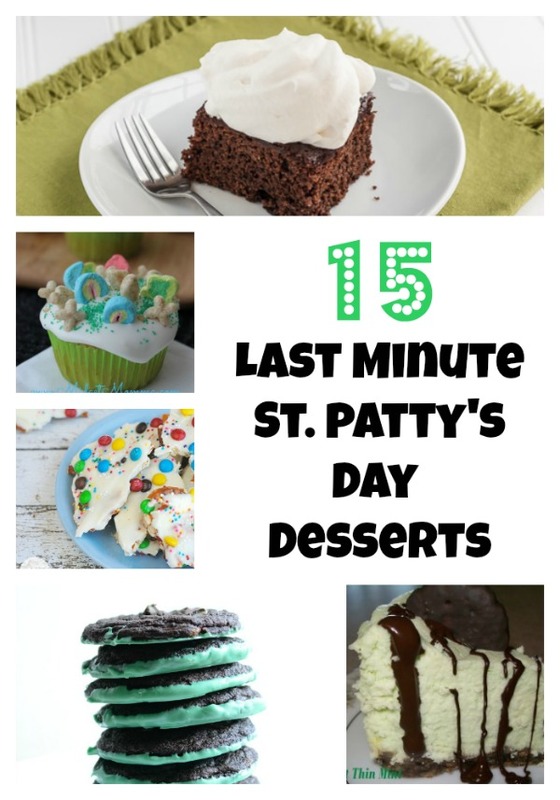 Since the day is sneaking up on me, I thought I would get together some last minute St. Patrick’s Day Desserts.